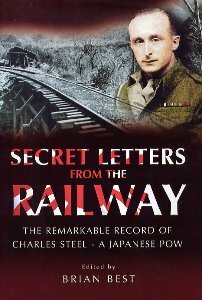 Charles Steel had the misfortune to take part in two great military disasters of the Second World War - the Fall of France and the Dunkirk evacuation and the Fall of Singapore. Shortly before the latter he married Louise. Within days of being captured by the Japanese he began writing a weekly letter to his new bride as a means of keeping in touch with her in his mind for the Japanese forbade all writing of letters and diaries. Over the next three years he somehow succeeded in writing and concealing some 180 letters to which he added a further 20 post-liberation letters. Part love-letter, part diary these unique letters, which were initially intended for Louise's eyes only, describe the horror of working as a slave on the infamous Burma-Siam Railway and, in particular, the construction of the infamous Bridgeover the River Kwai. Given the appalling conditions that Charles and his fellow prisoners enduredthroughout this period this was this was the most remarkable feat and a true labour of love ; all the more so given the retribution that he would have suffered had the existence of the letters come to the attention of his brutal captors. This extraordinary correspondence is also an uplifting account of how people can maintain their morale under even the most extreme adversity. we learn how he managed to get back at his captors by means of 'creative accounting' using his position of trust to the advantage of his fellow captives. Now, for the first time, readers have the privilege of sharing the appalling and inspiring experiences of this remarkable man.